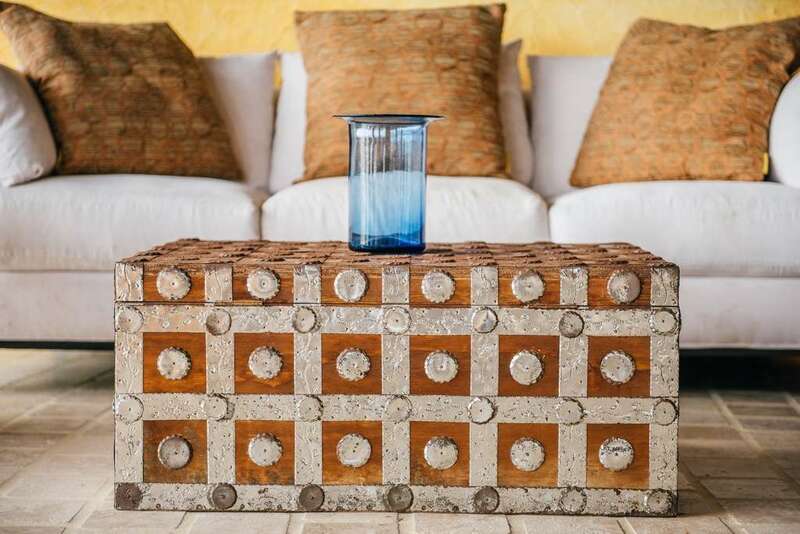 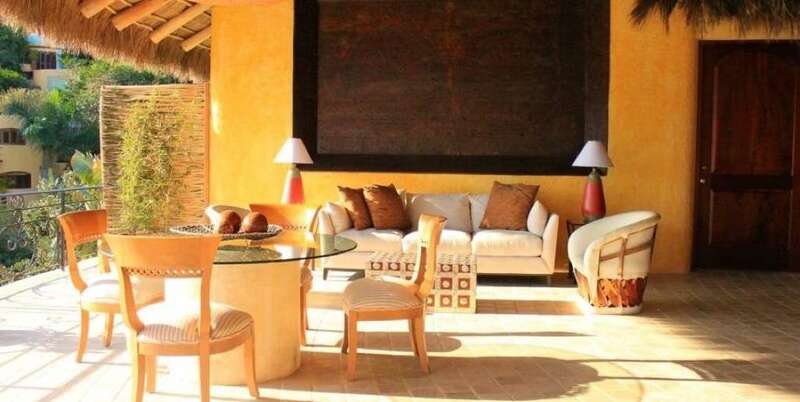 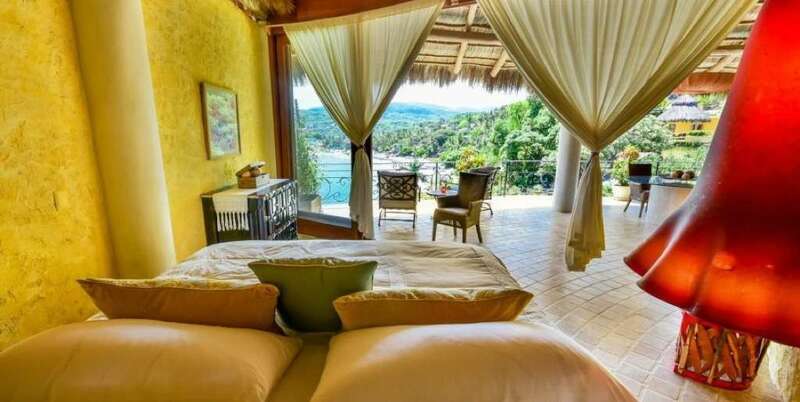 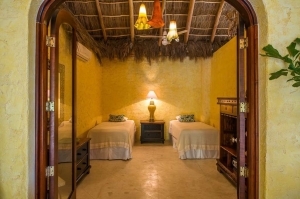 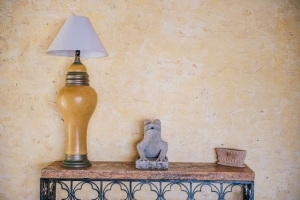 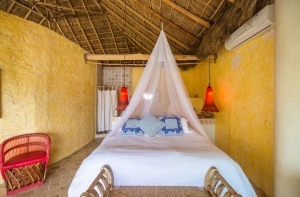 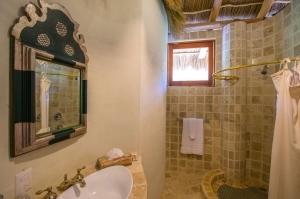 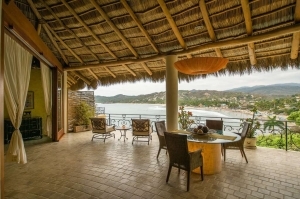 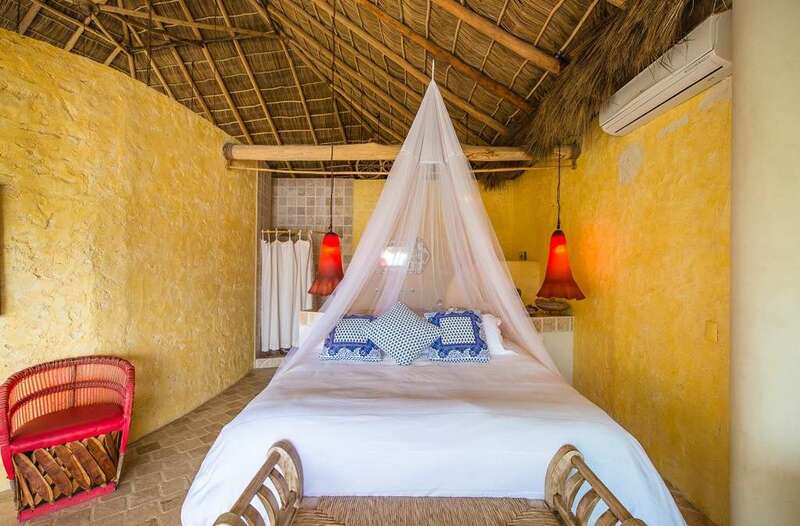 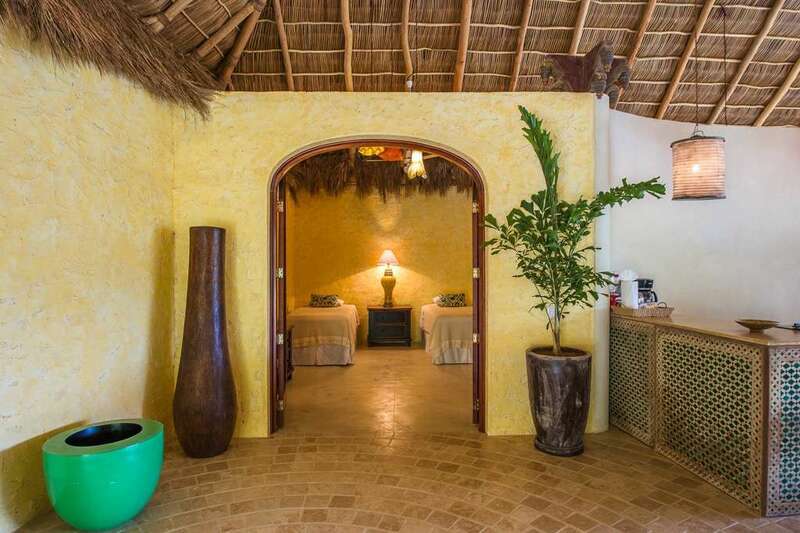 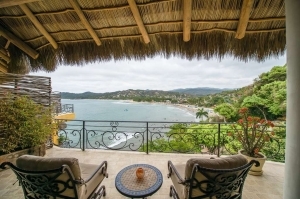 Villa Romance + Villa Besito Dulce + Villa Primer Beso + Villa Sirenita at Amor Boutique Hotel, when combined, make the perfect air-conditioned luxury seven bedroom vacation rental in Sayulita. This top level penthouse sleeps 14 people and is perched high above the Pacific with world-class ocean views. 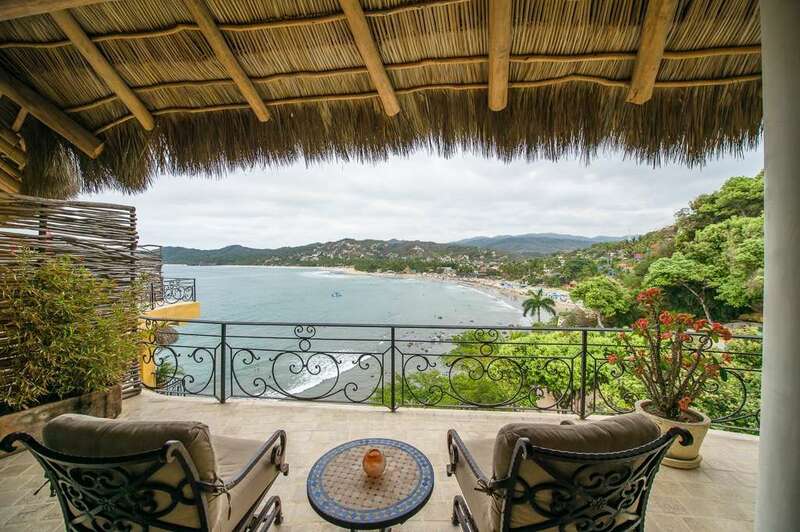 Its expansive terraces, wonderful outdoor kitchens, and plunge pool are perfect for private sunbathing, star gazing and entertaining with the most spectacular views of Sayulita Mexico. 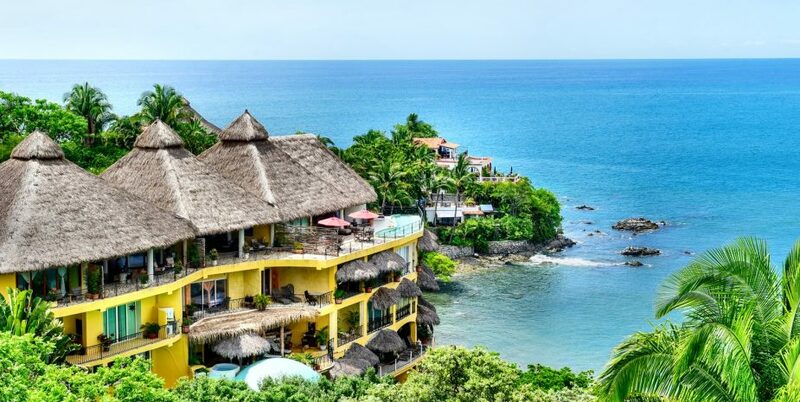 There’s a reason why so many brides-to-be choose Amor Boutique Hotel as the perfect hotel in Sayulita for their destination wedding guests. 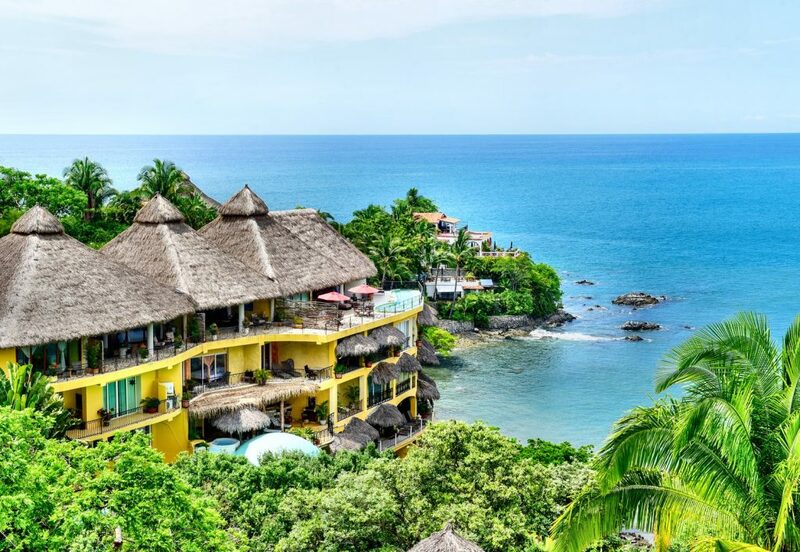 Where else can you find an affordable luxury resort that brings all of your friends together? 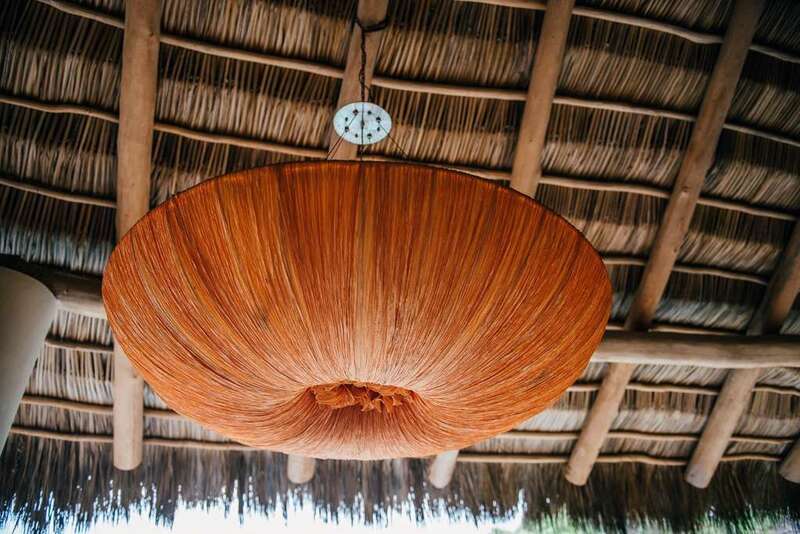 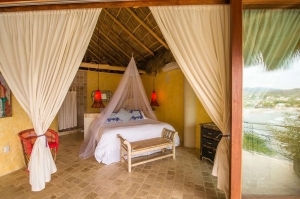 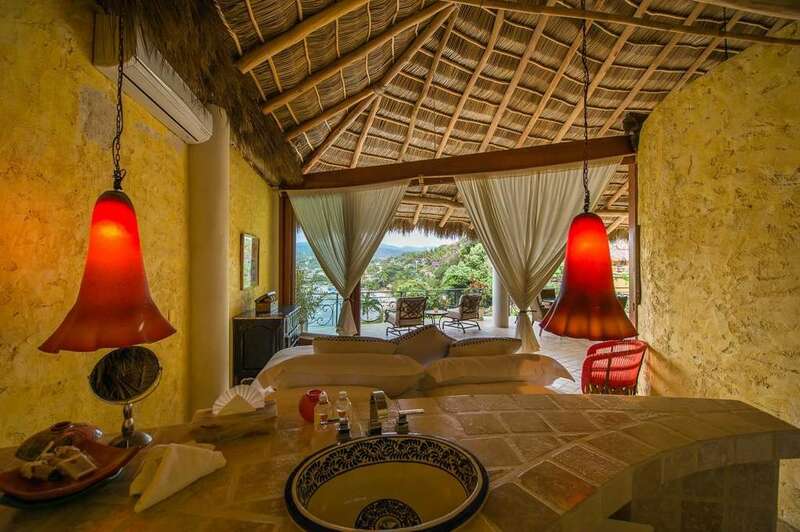 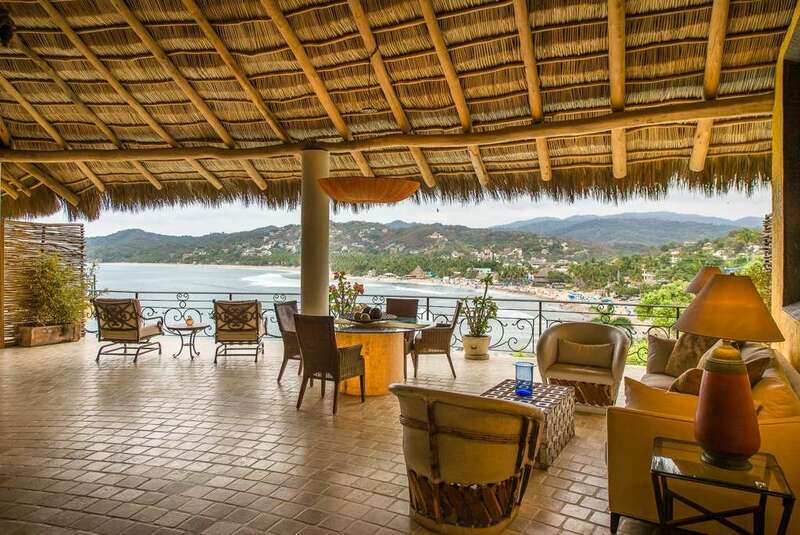 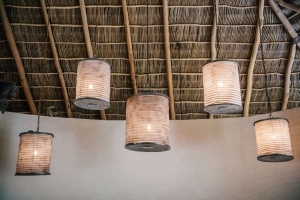 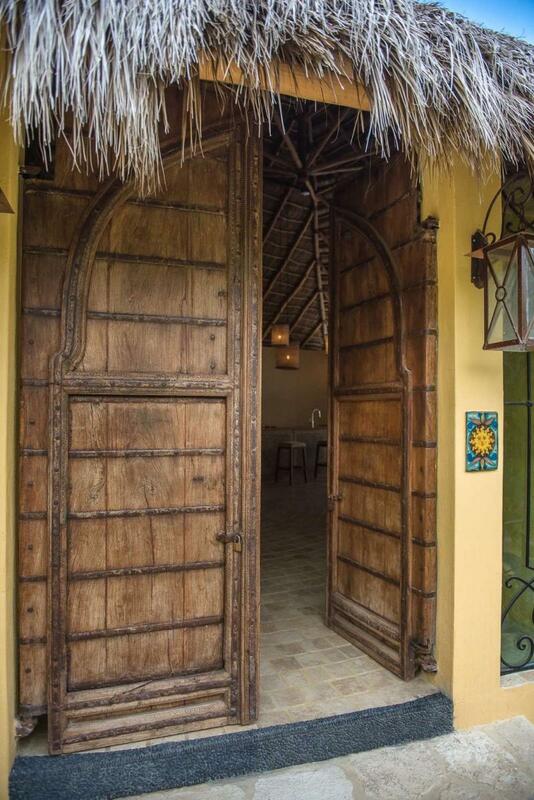 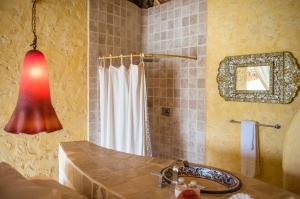 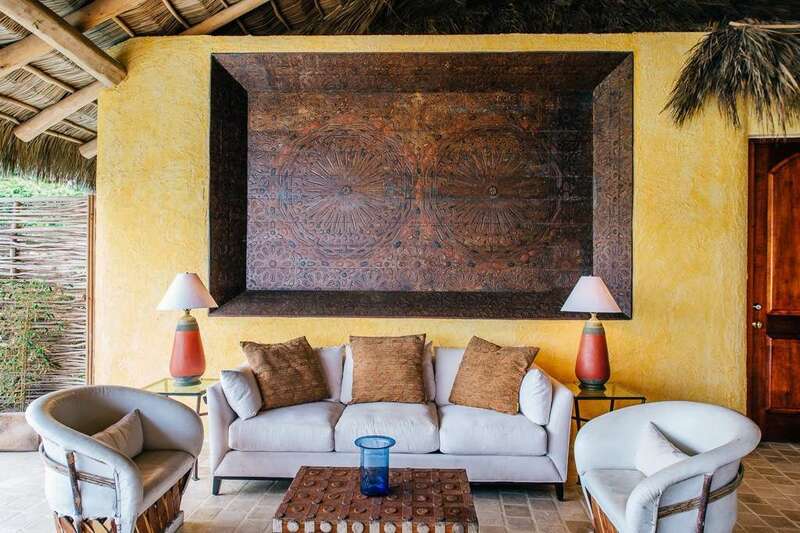 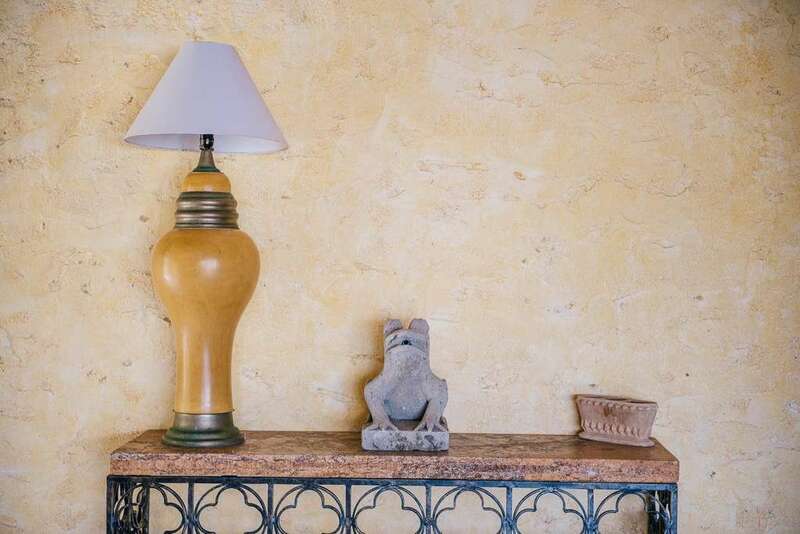 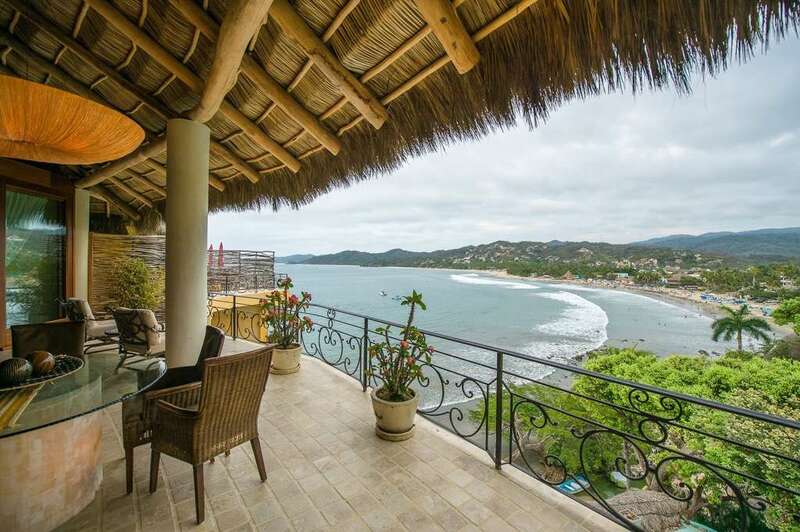 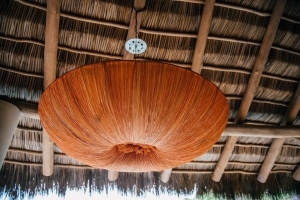 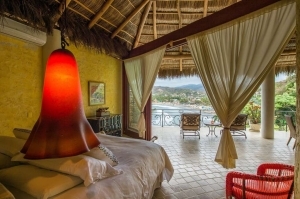 Each of these 4 luxury suites are thoughtfully designed and appointed with antique old-world wooden doors, gorgeous light fixtures, stunning bathrooms, and plenty of room to stretch out and enjoy the incredible ocean views overlooking all of Sayulita. 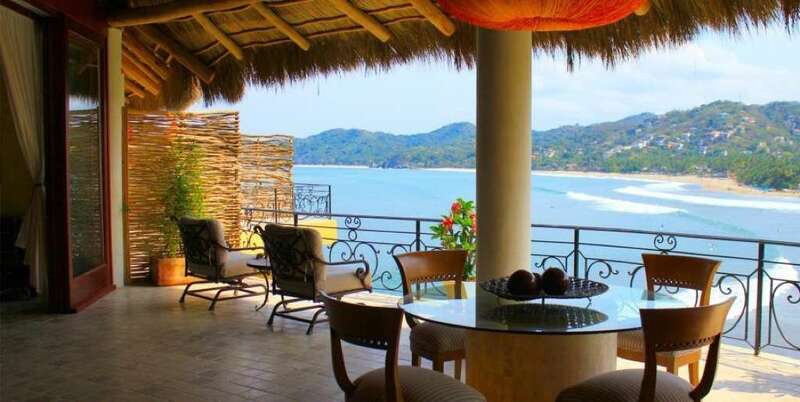 When combined, these four highly sought-after villas each have private balconies, stunning and romantic designs with an authentic palapa roofs, 3 outdoor kitchens, and two very large and comfortable living areas with lounge chairs, couches, dining areas, and a private plunge pool… All perfect for watching the diving pelicans and fishermen below. 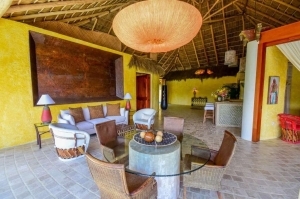 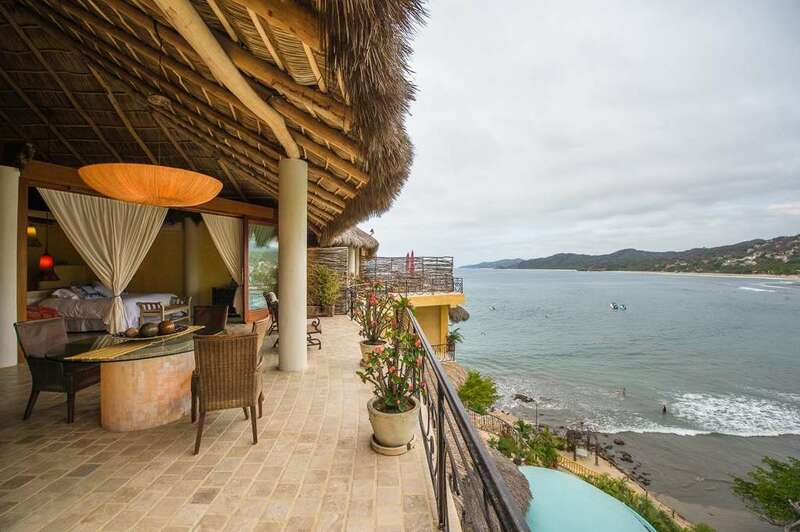 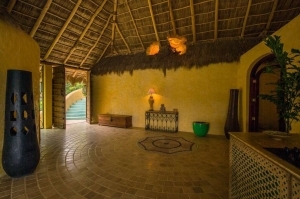 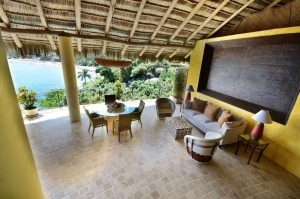 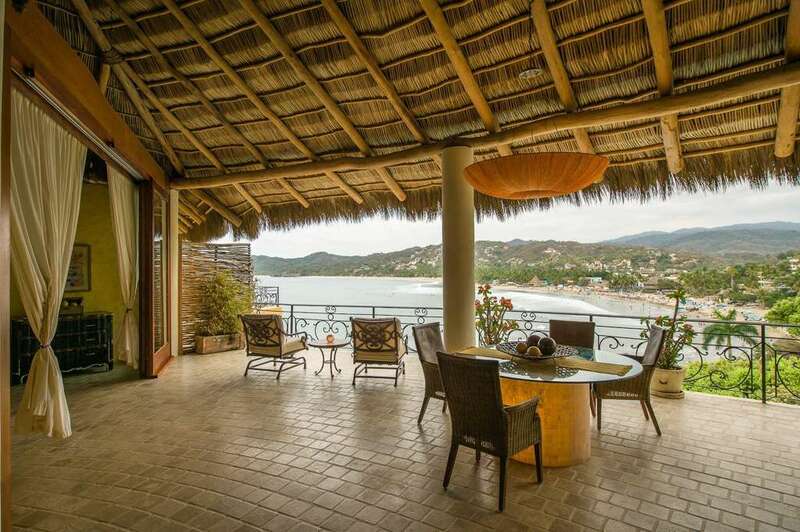 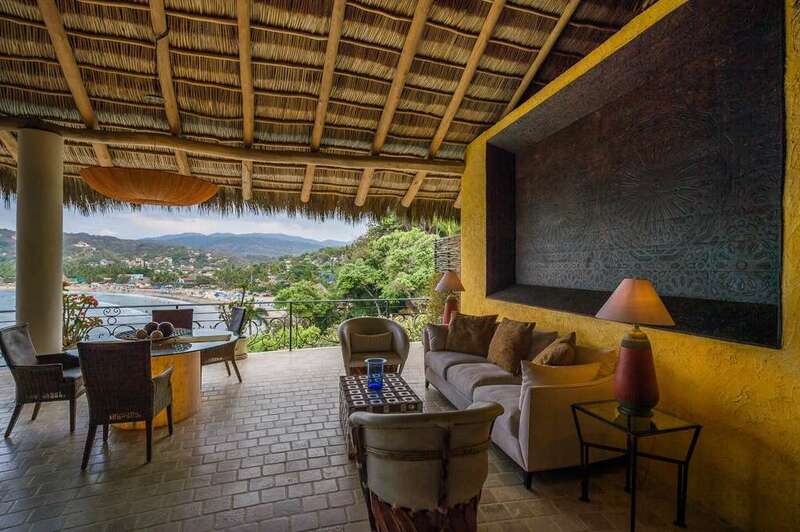 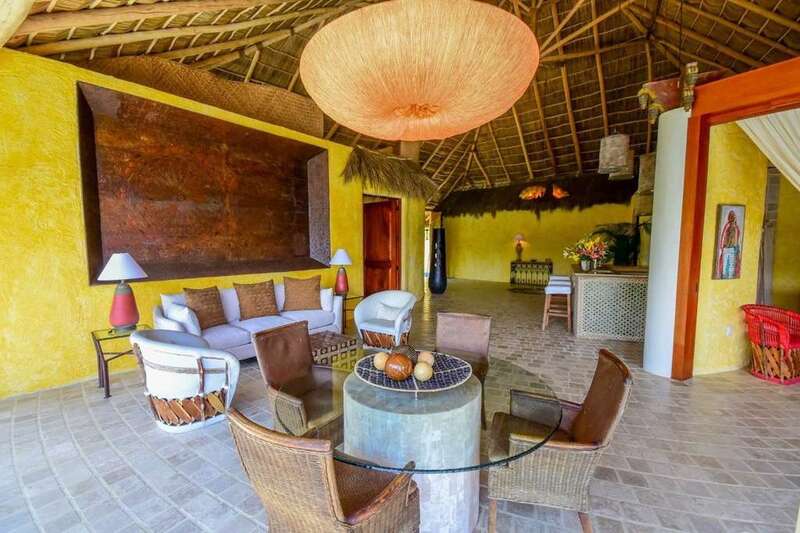 Amor Boutique’s 7 bedroom Panoramicas is the only true beach front luxury Villa in Sayulita and is ideal for friends traveling as a group, families, or wedding parties. 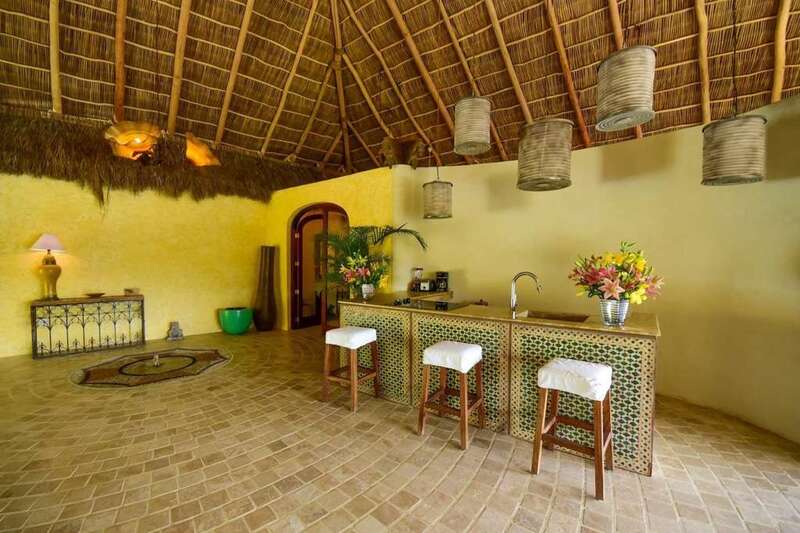 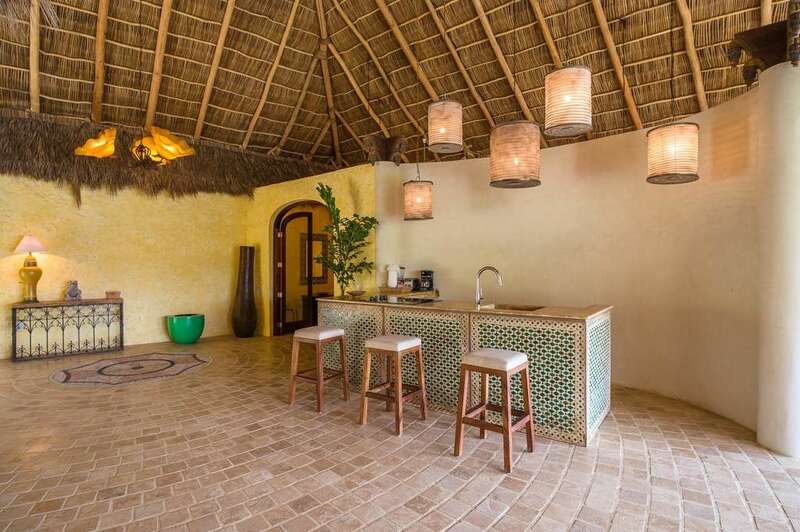 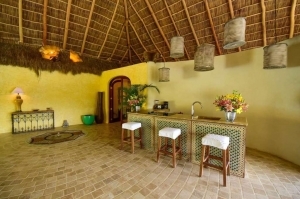 Each of the villas can be rented individually as well: Mi Primer Beso (1 bedroom), Villa Sirenita (1 bedroom), Villa Besito Dulce (2 bedrooms), Villa Romance (3 bedroom). 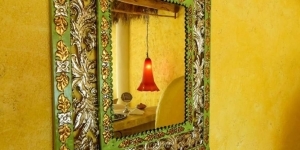 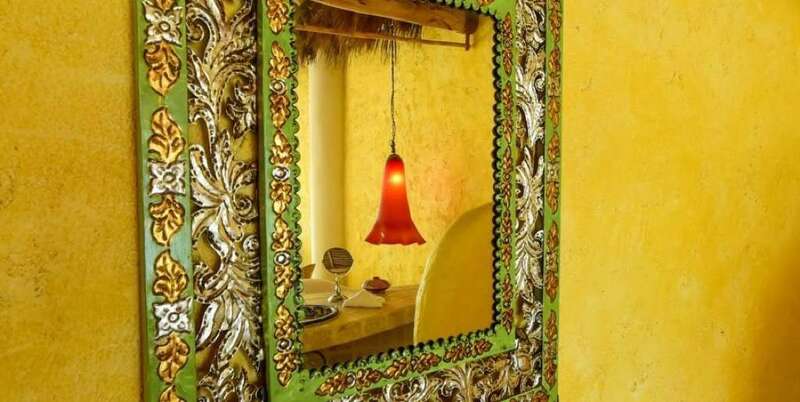 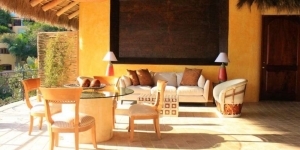 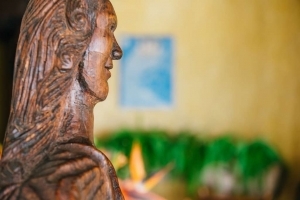 Look no further if you’re seeking the best luxury hotel in Sayulita Mexico.